The Christmas classic 12 Days of Christmas, for me basically involves a lot of Doodledoos, two turtle doves and, obviously, a partridge in a pear tree. So, I have a lot of love for the turtle doves and have been making a whole heap out of the most beautiful and easy air dry clay and paper. Who knows what a turtle dove actually looks like, these are less turtle, more dove. 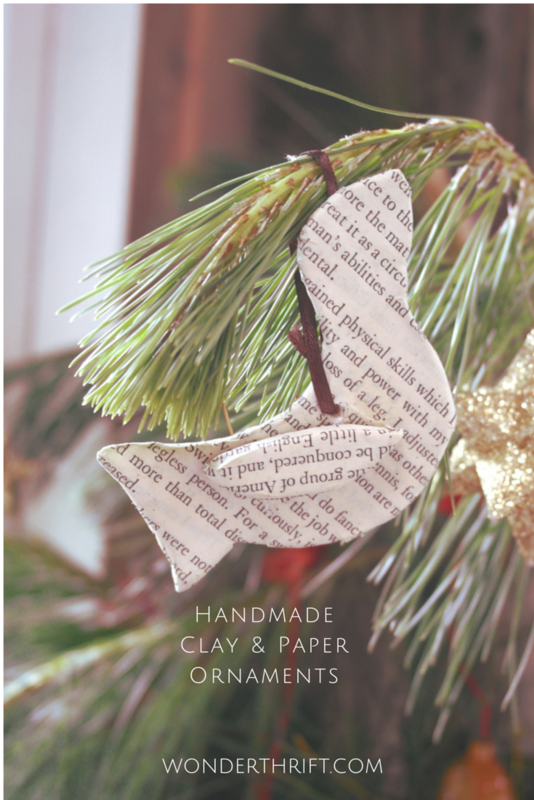 There is a whole tutorial on making these clay and decoupage bird ornaments over on Lulastic from a couple of years ago. I did it again this year, this time I made my own air dry clay and covered using the page of an old book and without the varnish layer. And I love them! After 15 minutes, when cool, you can knead it out and start crafting. We all have fun with this. We made turtle doves- did I mention? And Juno kind of just squashed it into the carpet and Ramona made worms. When it had air-dried I used homemade mod podge to stick the paper on. Love them. Perfect for a bit of thrifty, fun, easy Christmas crafting. i missed these but how cute are they!…. fab for anytime of the year I think!